Available solely at the recently opened M.A.D. 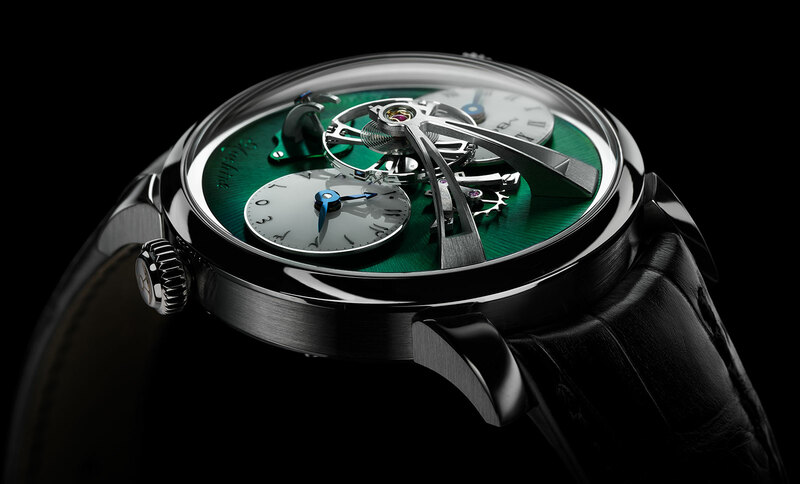 Gallery in Dubai run by retailer Ahmed Seddiqi & Sons, the new Legacy Machine 1 (LM1) features a striking metallic green base plate achieved via chemical vapour deposition (CVD) coating, a colour used for the first time in watchmaking. The finish is a nod to a colour synonymous with the region, just like the Eastern Arabic numerals on the right sub-dial of the twin time zone display. 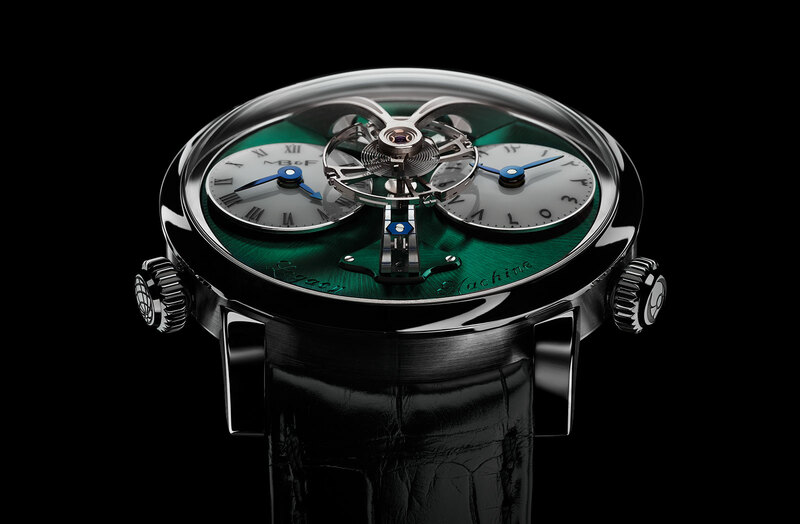 The case is 44 mm and made of a titanium alloy, unlike most MB&F watches that are in precious metals. In fact, the LM1 M.A.D. Dubai is the first of this model in titanium, with one reason for the case material being Islam, the dominant religion in the Middle East, prohibits men from wearing gold objects. 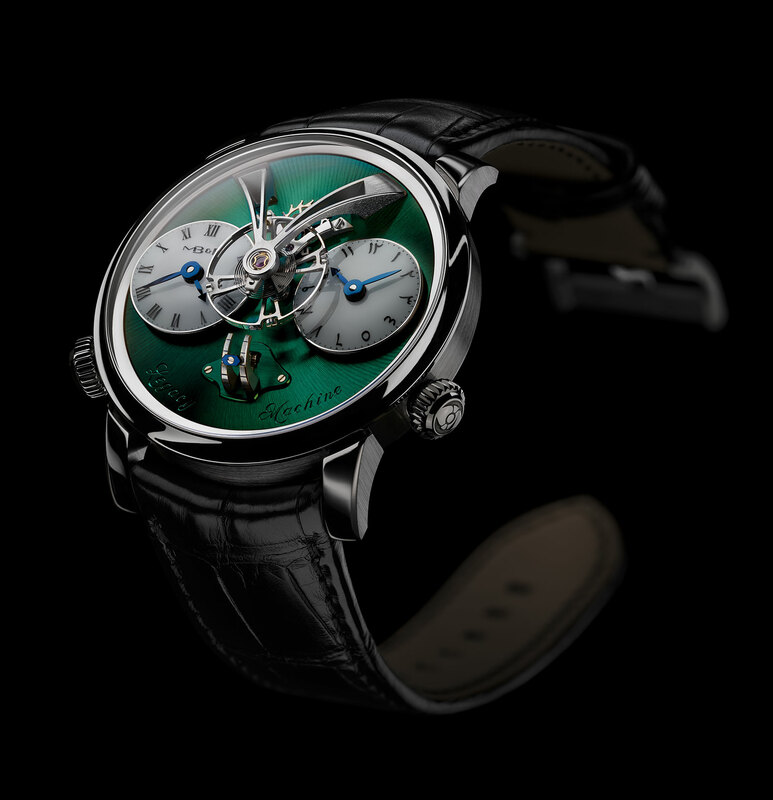 The hand-wound movement inside is identical to that in the original LM1, being a hand-wound calibre constructed with the oversized balance wheel sitting on the front, under an enormous domed sapphire crystal. 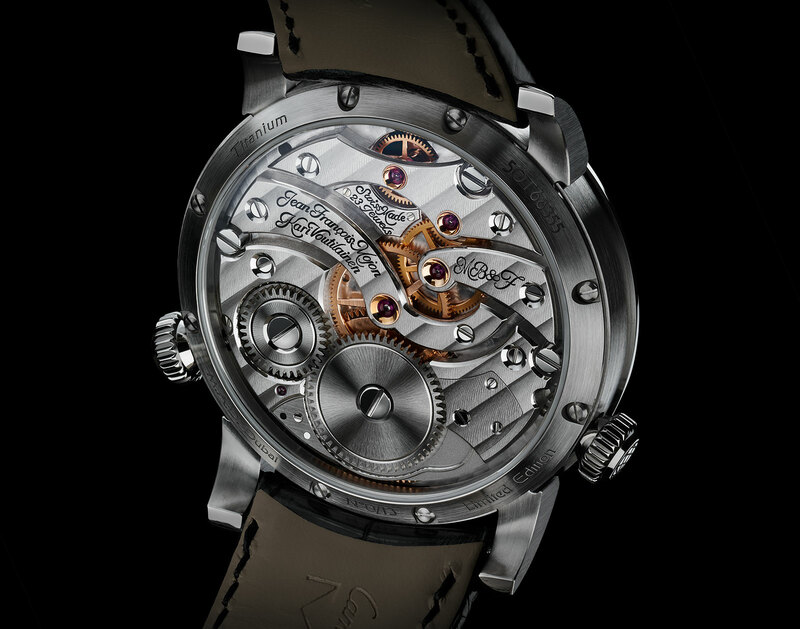 Designed by Jean-Francois Mojon of Chronode, a noted movement specialist, the movement boasts classical aesthetics that are the work of Kari Voutilainen, the Finnish independent watchmaker highly regarded for his movement decoration. The LM1 M.A.D. Dubai is availably only at the M.A.D. Gallery in the city and is priced at 308,000 dirhams, equivalent to US$84,000.